Buy more, save more! 12 1 lb. 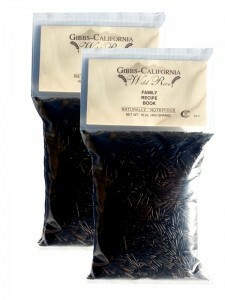 poly bags of A-grade Gibbs-California Wild Rice with recipe cards.